Russia’s mining and quarrying sector is a key industry in the country’s economy with the value of production equal to 15% of the nominal GDP in 2017. In Russian statistics, the sector includes extraction of oil and gas, the country’s biggest cash earners. Thus, energy-related materials like oil, gas and coal dominate the mining industry with their output equivalent to 77% of the total mining and quarrying production value in 2017. The mining industry is a significant contributor to the overall exports and an important source of hard currency for Russia. In 2017, exports of minerals accounted for close to 60% of the total exports of the country. The sector employs some 1.1mn people, or 1.5% of the total workforce. Globally, Russia is the second largest miner of rough diamonds, the third largest gold producer and the third largest coal exporter. 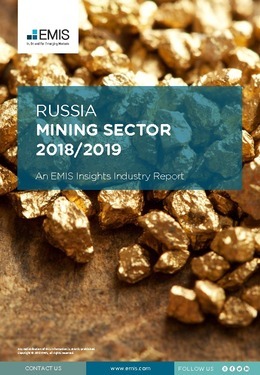 This report provides a complete and detailed analysis of the mining sector for Russia. EMIS Insights presents in-depth business intelligence in a standard format across countries and regions, providing a balanced mix between analysis and data. Build a clear picture of deposits, production and consumption for specific sub-sectors (e.g. coal, metals and minerals).